What does the volatility of the stock market, the tax code, plumbing, NASA’s Phoenix Lander, and the Election have in common? Mars in Scorpio. Mars represents physical energy and action. From October 4 to November 16, 2008, Mars in Scorpio provides the courage, desire, and stamina to handle the most challenging and deep-seated issues. Attention is focused on resources we share with others, such as finances, debt, insurance, wills and estates. Scorpio represents what is considered private and secret. Belonging to the water (feeling) element, Scorpio is like a lake. The surface of the lake appears calm and still; delve below the surface and there’s much more going on than meets the eye. Scorpio rules taxes, and the Treasury is keeping the I.R.S. busy enacting new tax breaks for banks and corporations. Here’s a perfectly worded example courtesy of The Wall Street Journal (“Obscure Tax Breaks Increase Cost of Financial Rescue”): “Operating mostly under the radar screen, Congress, the Treasury Department and the Internal Revenue Service have been rolling back various provisions of the tax code to help out industries and investors caught up in the turmoil.” A bank that acquires another bank can take a tax loss for the acquired bank’s loan portfolio. The new law means Wells Fargo is essentially able to acquire Wachovia (WB) for free as Wells will be able to save an estimated $19.4 billion in taxes while paying $15.1 billion (all stock deal; value will fluctuate) to acquire Wachovia. As part of the TARP, the Treasury will inject $250 billion into “healthy banks” in an effort to entice these banks to turn their lending valve back on. Some banks have already indicated they intend to use the government’s capital injection to acquire weaker competitors. Your tax dollars might be going towards putting the bank you do business with out of business. No matter, Treasury views bank consolidation as a good thing. Scorpio rules plumbing since pipes and fixtures are usually concealed or hidden. Water and waterborne wastes (Scorpio) need to flow for the system to operate efficiently. The media has been using plumbing lingo to describe the blockages in the financial system primarily caused by private and unregulated debt instruments. All the talk about plumbing since Mars has been in Scorpio physically manifested the archetype of “Joe the Plumber” who became John McCain’s symbol to attack Barack Obama’s tax plan. Watching the presidential debate last week, you’d think Joe was the only voter who mattered in America considering the number of times his name was invoked. “Joe” is actually Samuel J. Wurzelbacher. He does plumbing work even though he’s not a licensed plumber. And it appears he would financially benefit more from Obama’s tax plan than McCain’s. Planets in Scorpio tend to bring issues revolving around power and control front and center. Many investors feel powerless in a bear market. As Wall Street Journal columnist Jason Zweig writes: “As an investor, however, it’s absolutely vital to separate what you can truly control from what is beyond your control. The only thing you can know for sure is that stocks are steadily getting cheaper. You cannot control whether or not the market will continue to trash stocks, but you can control how you respond.” A good approach to life in general. Mars is “at home”* in transformative Scorpio, and is why NASA named the Mars Lander Phoenix after the mythological bird that rose from the ashes. For almost five months now the Phoenix Lander has been digging into the soil of the northern arctic planes on Mars. 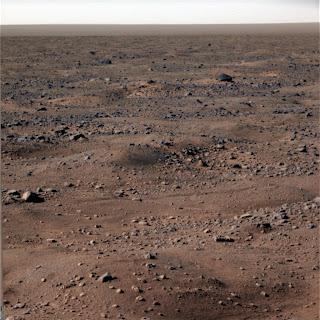 The purpose of the Phoenix mission is to search for signs that liquid water and other hospitable conditions for life existed on Mars in the past, in order to prepare for human exploration of Mars in the future. The day before the August 1 Leo Solar Eclipse, NASA announced the Phoenix Lander had identified water in a soil sample. What’s more intriguing is an August 1 Aviation Week article (“White House Briefed On Potential For Mars Life”) hinting at the possibility that the Bush administration could be concealing the results that microorganisms are alive and well on Mars. The Leo Solar Eclipse conjoined the Sun of the Phoenix Lander’s 2007 liftoff as well as Mars in Leo at the time of the May 25 Phoenix landing on Mars. The Solar Eclipse also conjoined NASA’s natal Uranus. These connections raise the potential that life (Sun) or some other surprising data (Uranus) was discovered by Phoenix and the Bush administration has taken action (Mars) to cover it up. These charts get reactivated again in early November, so we might find out then what all the fuss is about. What’s more shocking than anything possibly discovered by Phoenix is the Administration’s definition of “life” – whether on Earth or another planet. The only major planetary alignment Mars will make during its sojourn in Scorpio is to Neptune in Aquarius on November 4 - the same day Saturn exactly opposes Uranus. ** Neptune will be very powerful then, having moved into direct motion*** on November 1. While Neptune’s energies can be confusing and deceptive, Mars in Scorpio can penetrate through the fog in its determination to create a new vision (Neptune) of dynamic change (Aquarius) out of the ashes of structures (Saturn in Virgo) that have broken down or dissolved (Uranus in Pisces) because they no longer serve the majority of citizens. ***Planets do not really move backwards, but appear to from Earth’s vantage point. Neptune has been retrograde since May 26 (Phoenix landed on Mars May 25). Phoenix Lander picture of frost on Mars.